Faery Sight follows a young woman raised among faeries as she is confronted with the tragedy surrounding her birth. What was your inspiration for this book and how did that help you begin your Faery Legacy series? I come from a family where women are more numerous than the men, and over generations, our alpha-females have effectively organized us into a matriarchy. In my mind, I’ve likened us to Faeries, as they are the ultimate matriarchal society and in that light, I might say my series fits the ‘autobiographical fiction’ genre. The women in my family—their spirit and beauty, our strengths and weakness, how we manage our relationships, inspired the magic in Faery Sight and the others. When I set out to write Faery Sight, my intent wasn’t to produce a full length novel, much less a series. I just wanted to entertain people in my family with a short story, a novella at best. Indeed, the original manuscript went through multiple revisions, and not only that, its first working title; Once Upon a Faery, changed fleetingly to Ersatz, until at last, close to launch date, Faery Sight revealed itself to me. Celeste’s discovery of her love for Etienne, a human destined to marry another woman, is a captivating relationship. What were some things that were important for you when writing their relationship? Celeste and Etienne have a very special place in my heart; they came out of my imagination with such genuine attitudes it was impossible not to cheer for their beautiful love story. She is impulsive and free, he is trapped in a traditional life-style. When they meet, Etienne’s heart skips a beat and he finds the courage to defy tradition. Over the years, various members of my family, myself included, have been a Celeste or an Etienne, at one point or another, and it is my hope that whenever choices come up, we will always follow our hearts, just like Celeste and Etienne. I enjoyed Celeste’s character, and it seemed she became multilayered as the story progressed. What were some obstacles you felt were important to her character’s development? Celeste has a stubborn streak, a highly competitive nature (although not as nuclear as Nahia) and she is also impulsive. Therefore her character development needed to involve attaining a degree of maturity, while staying true to her heart. As her story progressed, any inherent negativity in those traits were flushed out of her, painfully, as was the case with the death of her mother, but also blissfully, like when she realized that Etienne loved her too, and that Nahia’s bad temper had been due to her fears that Celeste might trade their special “sisterhood” for a man! Where does the story take readers in book 2, Cradle Gift? Whereas Faery Sight was set in the 1800’s, Cradle Gift is a contemporary tale where we meet Celeste’s latest descendant, Maité. She is born in 1992. She knows nothing of the connection her family had with the Faerie Realm, and she’s clueless as to the Cradle Gift Nahia gives her on the day of her birth. From there… A journey, a manuscript, and a family tree unlock the mystery behind Maité’s lucid dreaming ability. At seventeen, the realm of faerie is the only world Celeste knows, and she aspires to become as close to a faery as a human may. But daunting revelations made by her dying mother knock her plans off course. Orphaned and anxious to establish where she fits in, Celeste’s convictions waver. Is she the human princess her mother raised her to be, or is she the human faery she longs to become? Is she to avenge the wrongs done to her parents by an evil sorceress? Is she to honor a betrothal she’s known nothing about? Or should she keep at the side of the true love that recently walked into her life? Celeste chooses to be the avenger of her parents, even if it means having to acknowledge her rightful place in the human dimension. Urged by the faery, Nahia, and championed by the faerie court and her true love, Celeste sets out to expose the deceitful sorceress, Arantxa. She trusts that nothing can keep her from returning to the realm of faerie, nothing that is, until the identity of her betrothed becomes known. Posted on March 24, 2018, in Interviews and tagged alibris, author, author life, authors, book, book club, book geek, book lover, bookaholic, bookbaby, bookblogger, bookbub, bookhaul, bookhub, bookish, bookreads, books of instagram, booksbooksbooks, bookshelf, bookstagram, bookstagramer, bookwitty, bookworks, bookworm, ebook, faery, faery sight, fairy, family, fantasy, fiction, goodreads, ilovebooks, indiebooks, kindle, kobo, literature, love, love story, nook, novel, patricia bossano, publishing, read, reader, reading, romance, shelfari, smashwords, spirit, story, writer, writer community, writing, YA, young adult. Bookmark the permalink. 1 Comment. 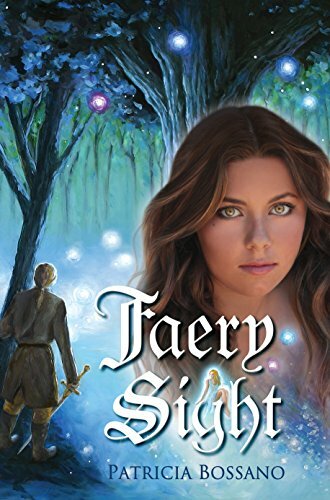 I have read Faery Sight and enjoyed the story very much. The story flowed very well and was easy to follow. I found the book to be a real page turner, I could not put it down until I finished. The story has a great deal of truth in real life with the two main characters. I would highly recommend this book, it was a fun read. Patricia Bossano is a very good author with a wonderful style in writing.